The new generations have come to a stage where social media has become one of the major parts of our lives. We rely on social media sites for a lot of purposes that range from serious work to entertainment. People have different requirements and we all use social media for certain purposes. As said earlier, social networking sites may be used in different ways and there is no end to it. One can use social media to meet friends online, chat with people from different parts of the world, promote a brand or anything, and other purposes. As social media platforms are extremely wide and full of possibilities, more people tend to spend a substantial amount of time daily. Reality is not what you see every time – A lot of the times you would see and go through some posts and pictures in the social media websites that are not necessarily real. You have to grow a sense of distinction between real and false. What you require to do is eliminate the false stuff from your life. Otherwise, the virtual world might affect you badly. 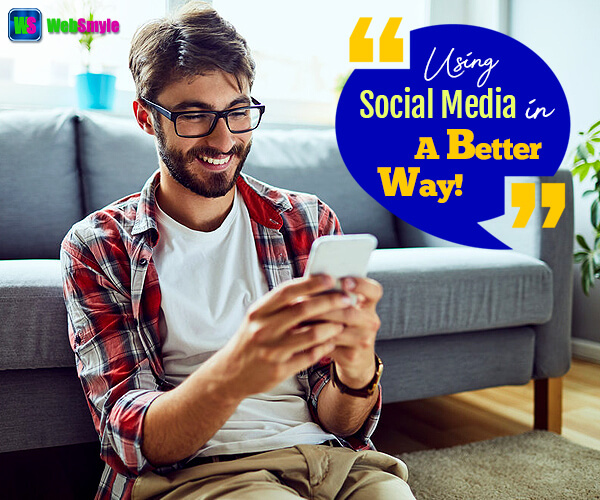 You might plan to use social media for various purposes like chatting online for free, meeting new people, etc. Social media is great and you can derive a number of benefits from the platforms but believing all those things that are not necessarily true can sometimes be harmful to you. Do not rush into things – One of the common traits noticed among social media users is lack of patience. Many people want to share and make the most out of their profiles overnight. But things do not work like that. Keep in mind that the world is not going to end soon and you need to keep your activities under control as the social media works at a slow pace. Whatever your objective is, you need to hold patience as rushing into things will only drain your motivation and energy without bringing any result. Staying away from negativity and pursuing your objective is the best policy – A lot of the times, we use social media and unknowingly compare ourselves with others while we find new friends online. Those people could be anyone, someone we know, someone unknown (you just met online) a rival, or anyone else. The basic thing that we see on social media is that people post random things that portray all the good aspect of them. For example, someone is going for a vacation, someone is buying a car, someone is fulfilling all the dreams, and that is when we start getting depressed. The real deal is nobody posts the reality on social media. Everybody shares just a part of their lives. Conclusion – People’s lives have changed considerably after they have started using social media. We all have different requirements and we use social media platforms to full those requirements. Though there is no hard and fast rule of using social media if you want to maximize your productivity and fulfill your objective while using social media, you might find the above-mentioned tips useful. Previous PostPrevious How To Derive Maximum Productivity Out Of Social Media?